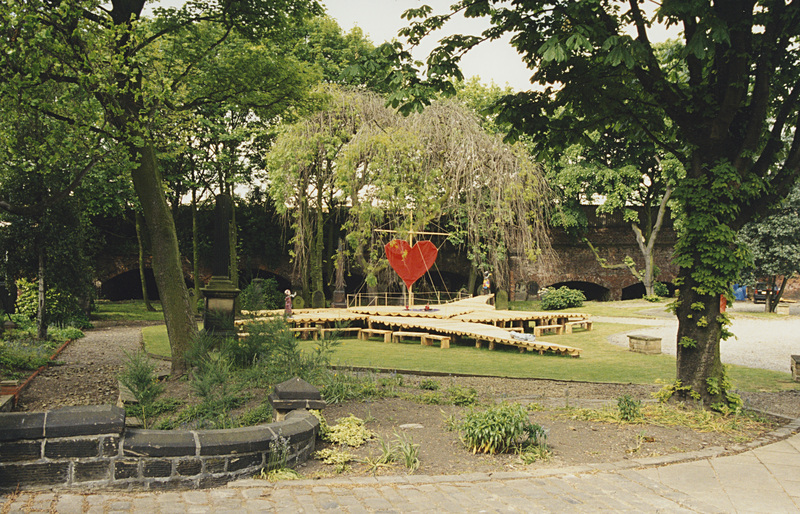 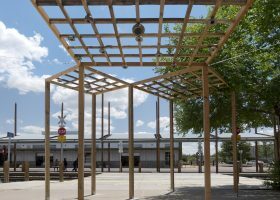 For the international Artranspennine98 exhibition in the UK, arranged by Tate Gallery Liverpool and The Henry Moore Foundation, Andersson chose the garden of Public Arts in Wakefield for an interactive installation. 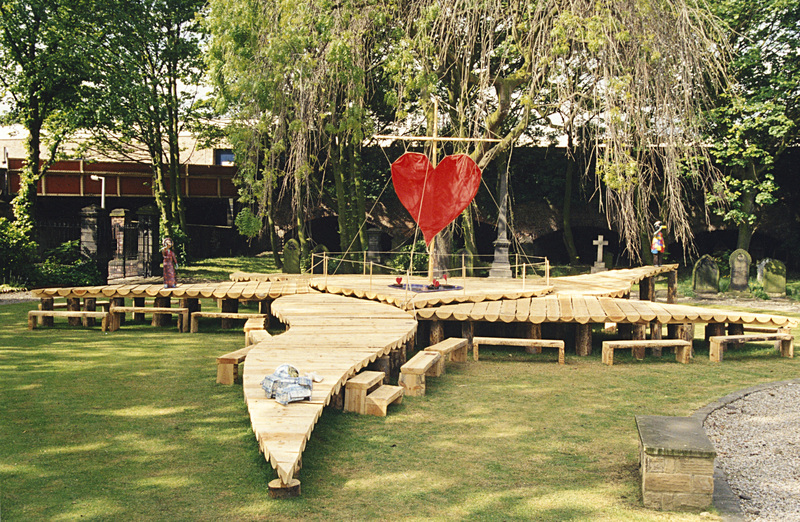 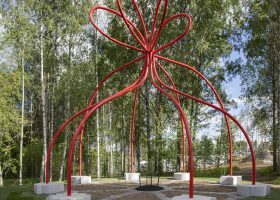 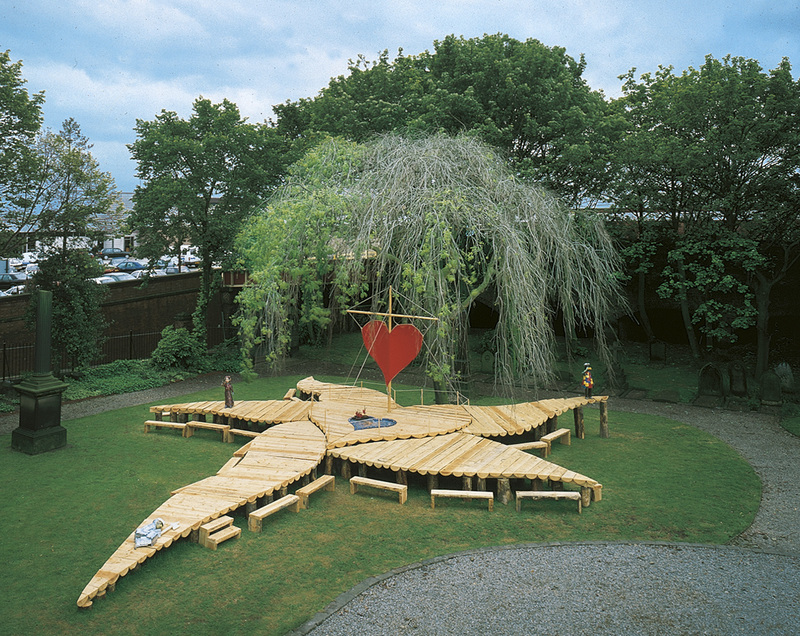 Under a big willow tree, with old gravestones in the background, a 17 m long and 19 m wide table of halved logs was made in the shape of a five-armed starfish. 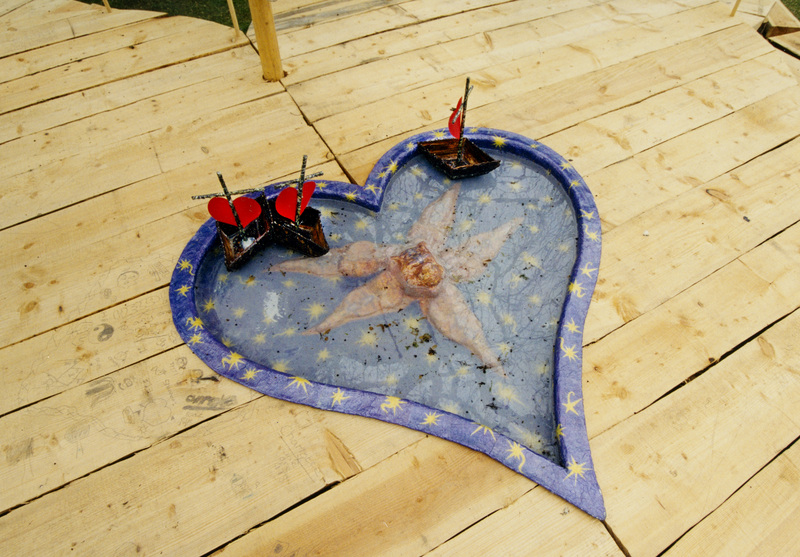 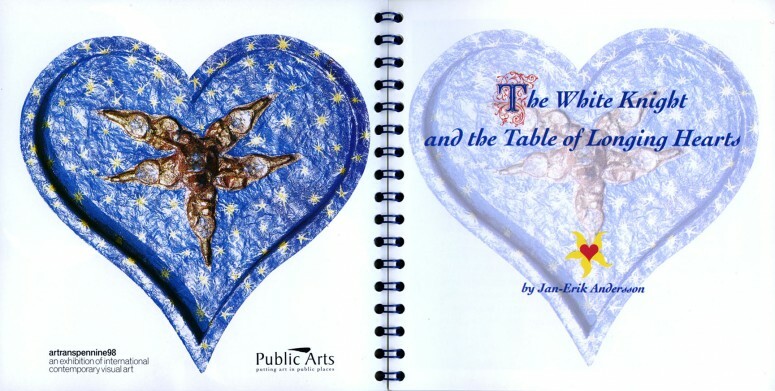 The centre of the table had the form of a heart and was equipped with a heart-shaped pool with bark boats and a heart-shaped sail made by a Finnish sail-maker. 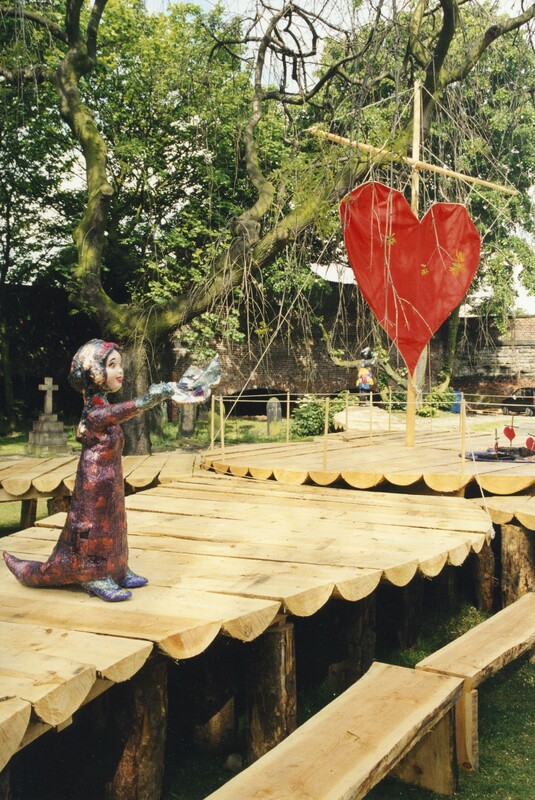 People were able to sit down on benches or climb up on the table and have a cup of coffee and enjoy small chocolate versions of the sculptures placed on the table. 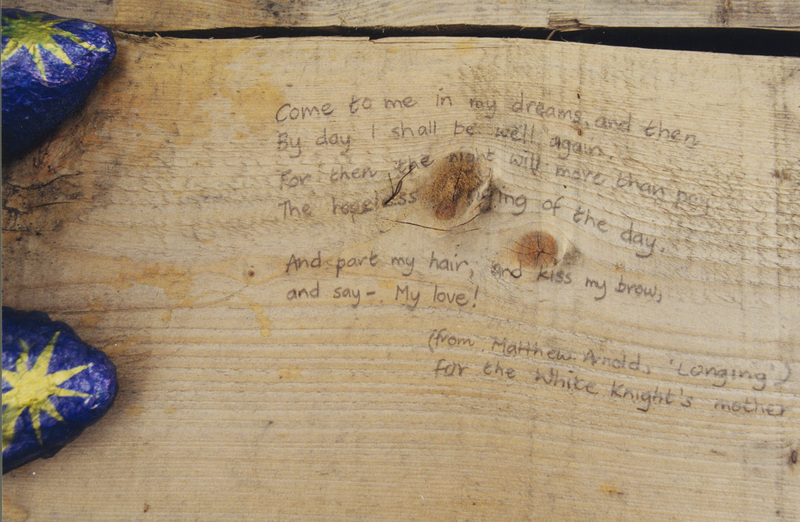 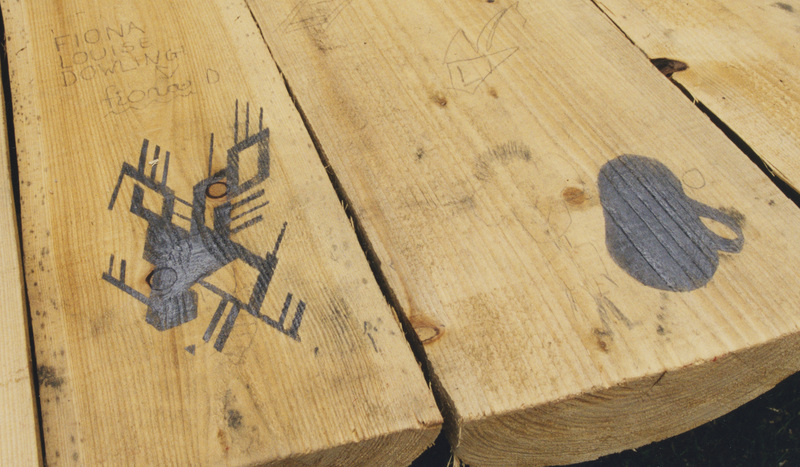 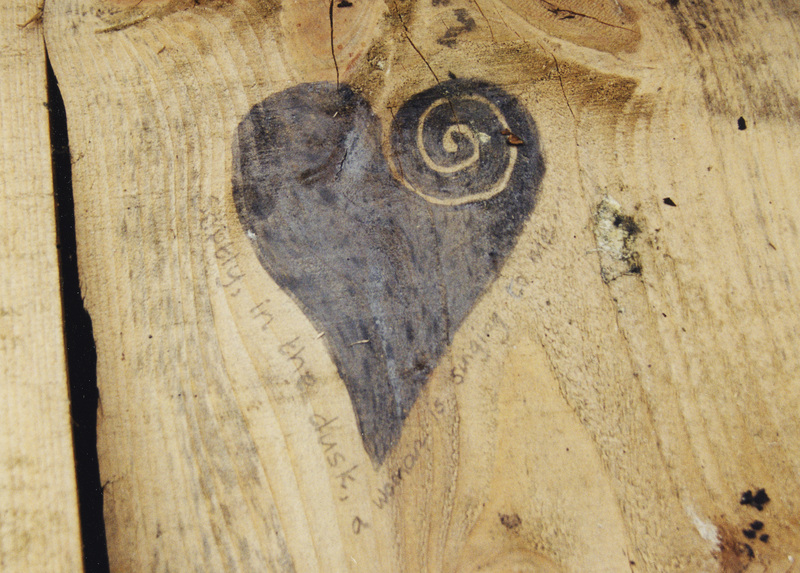 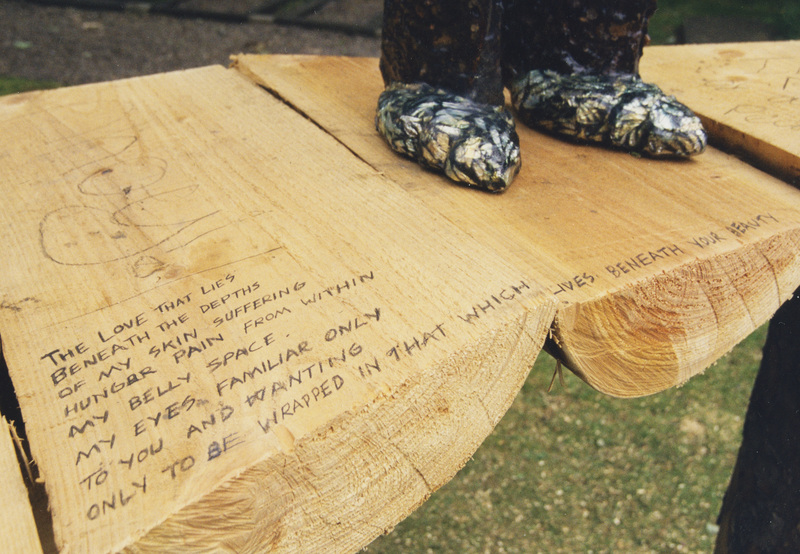 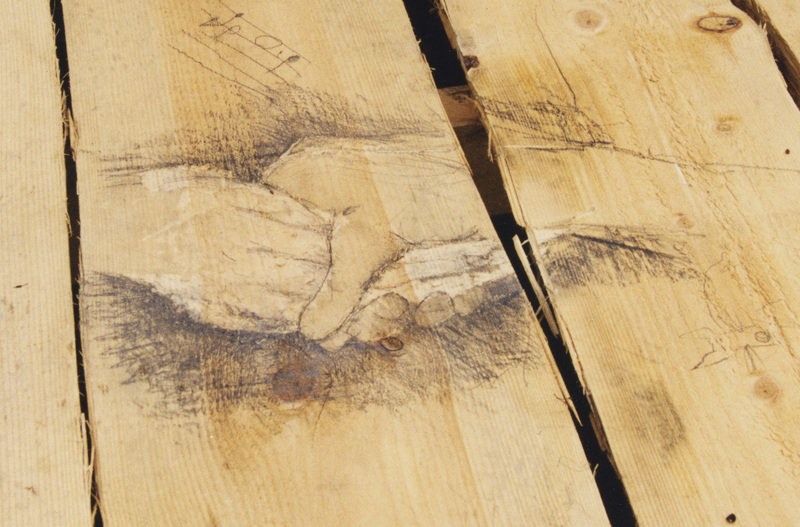 Then they could carve or write marks and poems on the table. 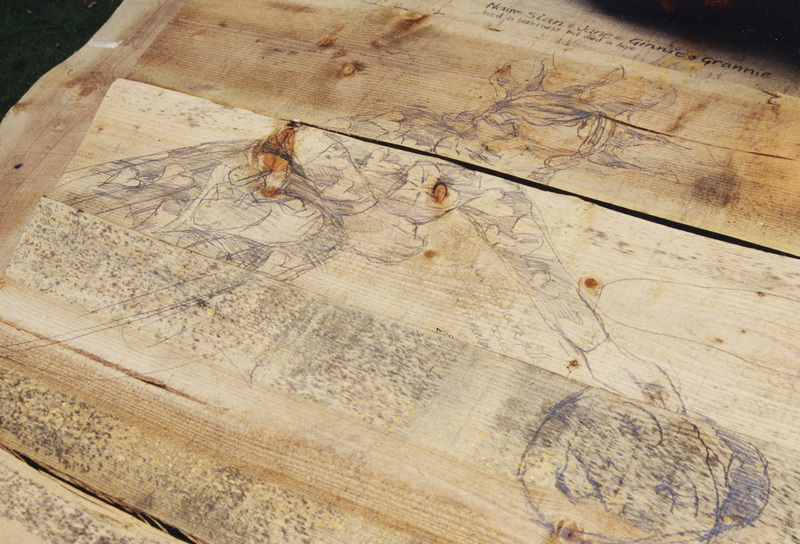 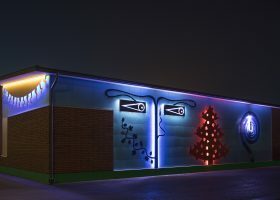 The drawings were photographed and put up on the project’s web site. 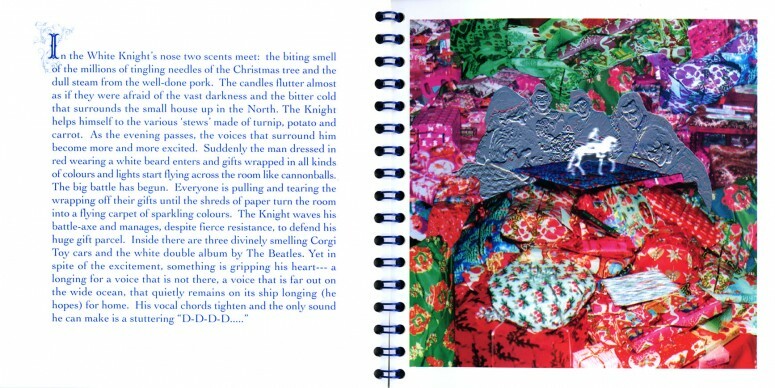 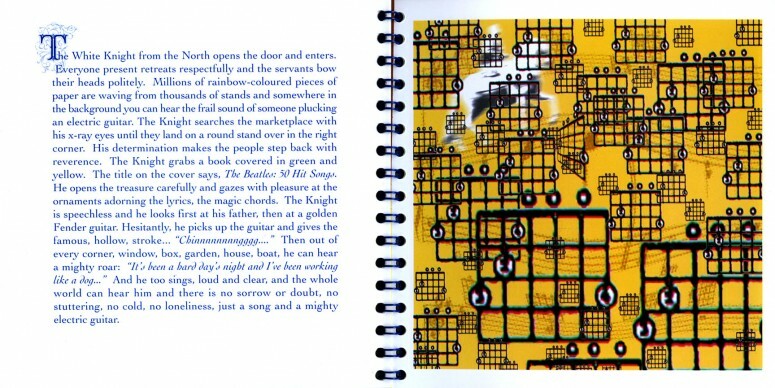 Apart from coffee, you could buy a book with the story of the White Knight, written and illustrated with computer graphics by Andersson (Translation by Robert Powell). 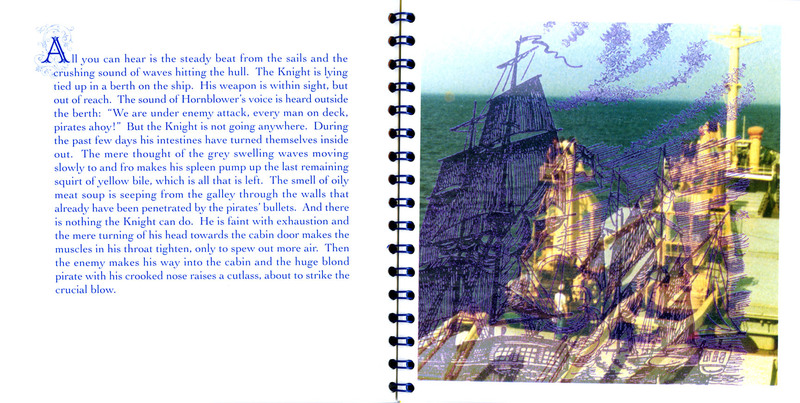 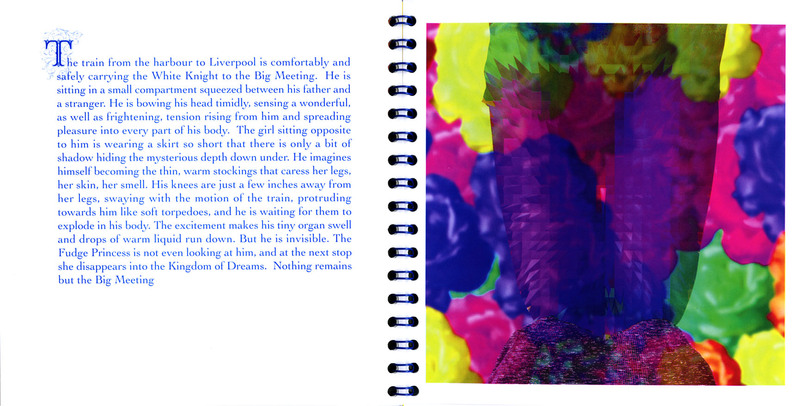 The story draws on his trips as a young boy to Hull and Liverpool with his father, who was the captain of a cargo ship. 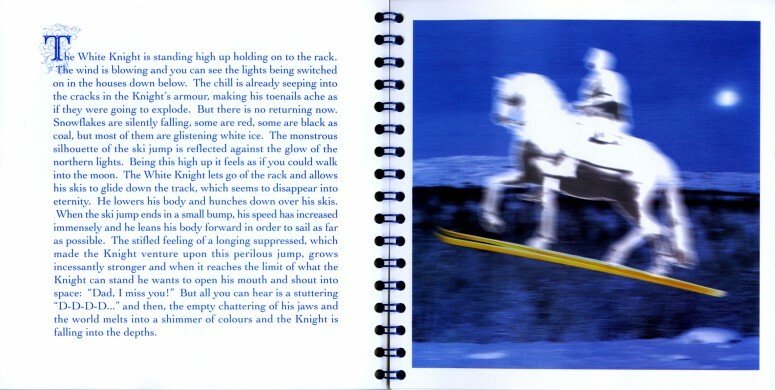 To symbolize the longing for his father, constantly on journeys when Andersson was a boy, the sculptures of the father, the mother and the White Knight, Andersson himself, were put as far as possible from each other. 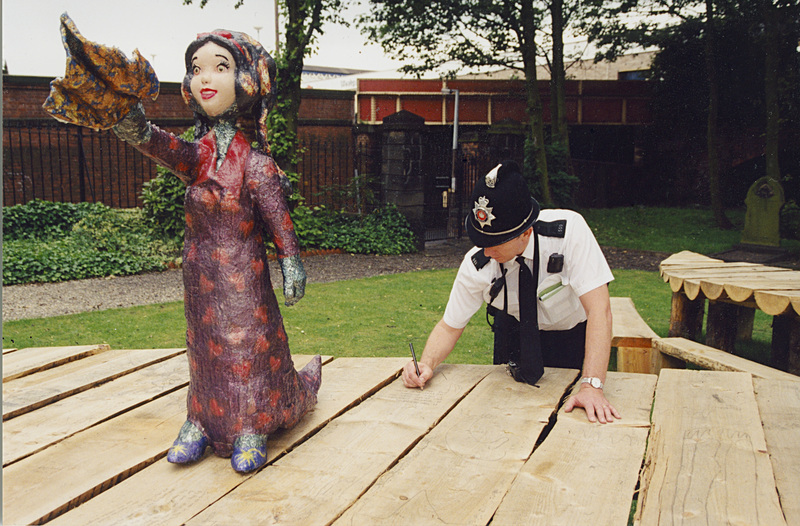 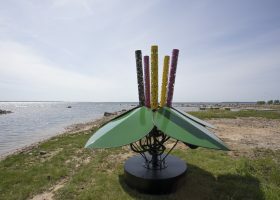 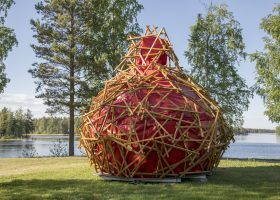 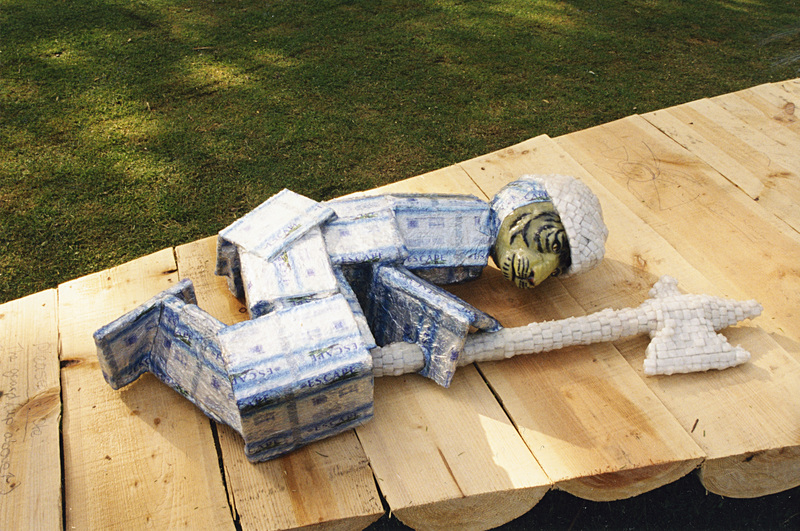 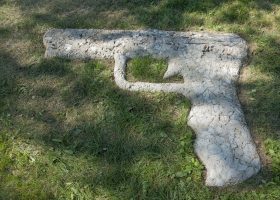 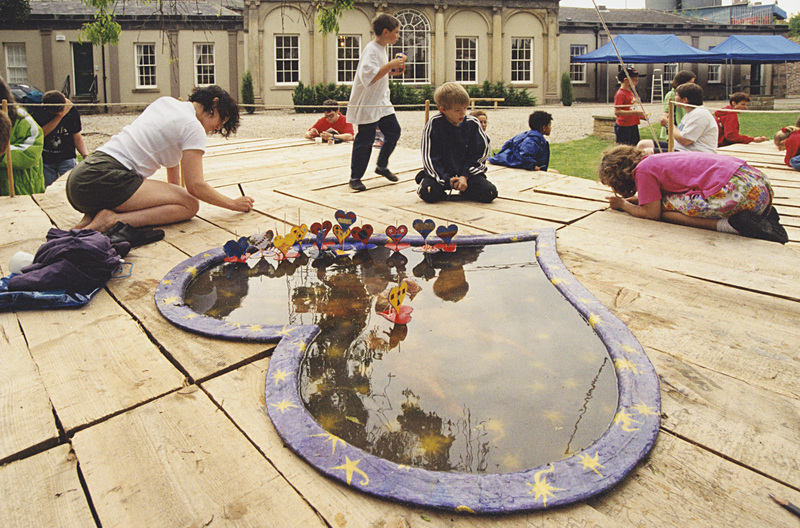 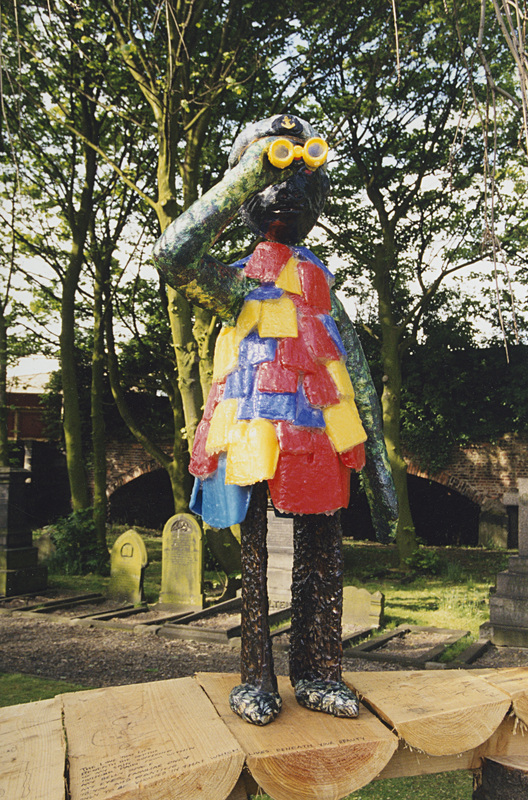 The sculptures were made using different techniques and materials, ranging from glass fibre, bark and spades to computer-generated surfaces and sugar cubes. Take a look at the project’s original web site from 1998 with pictures and more information.